He made the girls swoon in the 50's and 60's and he's still got it! Iconic American crooner Pat Boone to be featured in a two-hour streaming live tribute on internet radio. 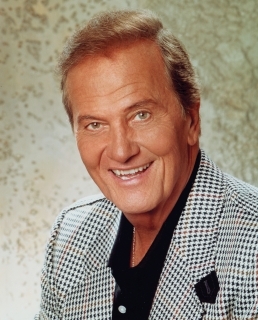 May 30, 2012 - PRLog -- (Baltimore, MD) Baltimore Net Radio will celebrate the birthday of iconic pop singer, Pat Boone. Tune in on Saturday, June 2, 2012 beginning at 4pm NYT as we honor the legendary Mr. White Bucks himself, Pat Boone. Listeners will enjoy two hours of Boone's music along with words from friends, fans, and also a casual interview with Boone. This 2-hour tribute will be broadcast live streaming from http://www.baltimorenetradio.com. Listeners will revel in the hits such as April Love, Don't Forbid Me, Moody River, as well as many others. Recordings from the beginning of Boone's career in 1953 to his newly released CD, Pat Boone Sings A Tribute To The Ink Spots will be featured. The Legendary Connie Francis To Launch New Radio Program "The Story Behind The Song"